In all the pre-medical exams, Biology, being the highest score carrying subject, can assure you guaranteed rank if you have prepared well. Most of the questions of Biology are based on basic concepts of NCERT. As both zoology and botany carry equal marks, equal attention is to be paid on the preparation of both. Analyzing NEET (AIPMT) 2019 biology paper suggests that difficulty level of biology has increased in recent years because of growing competition. The topics carrying good weightage are - the Human Physiology,Plant Physiology, Cell Biology, Molecular Basis of Inheritance, Ecology, Biomolecules, and Biotechnology. Read your topic a night before studying it in the class. Agreed that it’s difficult as it requires time and can often be boring too, but this tip is tried and tested and it really helps. In order to achieve a good level of preparation, you need to keep studying your biology course regularly on daily basis. 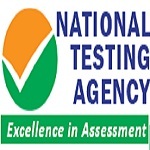 Make sure that you are studying with the help of NCERT. Go through the diagrams of NCERT as many questions are based on diagrams. Solve all the examples given in NCERT. In pre-medical exams, few tricky questions are asked in which the meaning and concept of the question is changed by replacing a few words. 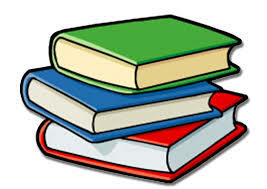 You should know the weightage of all the chapters so that you can prepare accordingly. Spend more time on the chapters with high weightage. The topics carrying good weightage are - the Human Physiology,Plant Physiology, Cell Biology, Molecular Basis of Inheritance, Ecology, Biomolecules, and Biotechnology.So, students must focus on these chapters. Topics like Animalia and Plantae are a bit confusing. Phylum non-chordata and class levels upto chordate also require consistent practice and revision. Use markers to highlight important points in your notebooks. Try to solve as many online tests as possible as this will help you manage your time properly. Keep your study table clean and drink lots of water.